Unfortunately, due to the volatile and oversaturated markets, businesses are often under a lot of pressure. Ensuring a stable revenue stream for small and medium-sized businesses in this landscape is especially hard, as they have to compete with big players and among themselves as well. Since the business software industry is expanding, we are here today to talk about one of its products that can help you relieve day-to-day business pressures. More precisely, the ones in your marketing, sales and service departments. We are going to introduce you to customer relationship management software. A tool designed to make your data more effective while automating your business processes and relieving repetitive daily pressure. Welcome to our ultimate CRM guide. Tracking, recording and managing interactions with prospects, including their information. Tracking, recording and managing interactions with leads, including information. Tracking, recording and managing interactions with customers, including information. This process is complicated because for it to result in actionable data it has to be ongoing and able to track data in every stage of the customer’s journey. Customer-facing departments are quite often overburdened with day-to-day CRM tasks, especially when the company sets its eyes on a new market. CRM software is a unique solution to this problem, as it offers a completely new angle on workflow and management of customer relationship efforts. With its help, business organizations can improve customer relationships with very little effort, because it comes with features designed to organize and automate activities and streamline communications in marketing, sales and service departments. CRM software covers a very broad set of applications. If we had to define what CRM means by restricting the definition to only one sentence, then we would say: CRM software is a tool designed to help companies manage and automate CRM business processes. Now, let’s see what are the benefits of this software. The entire CRM effort boils down to how efficient your customer, lead and prospect data management is. Without it, it is impossible to custom tailor your approaches and deliver a great experience to the customer, an experience that drives sales and results in returning customers. Since this process requires you to track, record and document each of these interactions, you may easily end up having dozens of filing cabinets. CRM software is a piece of advanced organizational technology. Thanks to the cloud, CRM tools will not only streamline the process of tracking, recording and documenting interactions with your customers, but it will make all this data instantly available to all the departments. People have been talking about the importance of communication in a business environment all over the blogging landscape for years now. CRM software brings both internal and communication with clients to another level. First, since your marketing, service and sales department will use a single platform, employees of these departments will be able to share information on the go and communicate with each other seamlessly. And secondly, communication with your customers will not suffer if they are not assigned to their usual sales rep or service agent. Thanks to the centralized and shared customer database, in just a few clicks anyone with the right permissions can access a customer file and work from the same information as their colleagues did in the past. The end result is not only improved communication. 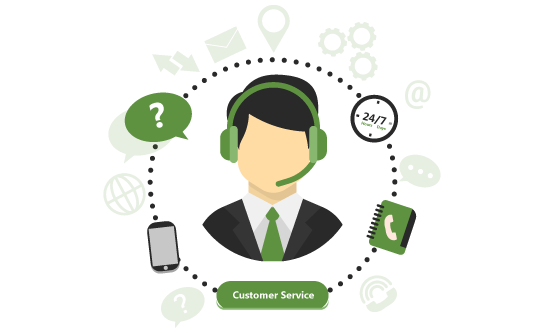 CRM platforms are also meant to help the customers by improving service departments. How does this work? One of the main characteristics of modern customers is that they tend to become frustrated much quicker. This means that your representatives need to take care of customers quickly to keep them happy and coming back. The CRM tools enable this by arming your representatives with data on a customer’s past interactions with the company, their preferences and past purchases. In addition, many of the CRM platforms come with a searchable knowledge base, which makes finding a solution even easier. If you’ve implemented some of the CRM practices in your organization, then you know that this business process consists of dozens of smaller processes. All of these processes are vital for CRM success, and yet a great majority of them are repetitive and boring. They not only eat up precious hours of your employees’ workday, but they also present a great risk of recurrent human errors. Some of these processes include writing reports, filling out forms, sending emails, and so on. The most modern CRM platforms were developed to support the automation of CRM processes. This means that the platform is completely capable of handling repetitive and boring tasks on its own, leaving your representatives with more time on their hands to focus on more important tasks, such as closing leads. Some of the CRM tools even come with automatic lead qualification and lead-to-agent assignment functionality. The equivalent of the Holy Grail in the business world is finding the right ratio of productivity and efficiency, one that enables an organization to achieve great results with minimal losses. In many cases, pursuing productivity has an impact on efficiency, or in other words, the quality of work. CRM tools offer a unique benefit – improving efficiency without sacrificing productivity and vice versa. The departments that can prosper by using this tool are marketing, sales and service departments. With all the information the system offers, funnelling prospects down the pipeline becomes a walk in the park. The decision-making process in the field of CRM is very time sensitive. Representatives have to serve customers with information very quickly in order to capture new sales. The same principle applies to marketing and support departments too. CRM software enables this process and makes it easier in two ways. First, your departments will have access to information in one place, which speeds up the decision-making process. And secondly, since all the data is stored in one place, you can use the analytic engine of a CRM to generate reports and forecasts, get powerful insights, and develop new strategies to secure the future of your venture. CRM solutions oriented on business process optimization are the brand new thing on the business software market. They come with a business process drag and drop editor and pre-built templates of the best industry processes that you can use right out of the box. This is a nice addition to the entire CRM functionality bundle that enables organizations to improve their operations down the line. Paired with automation and analytics, business process management becomes a powerful ally to help organizations reduce the possibility of error, maximise the efficiency of all business processes and become more profitable in the long run. The CRM software cornerstone feature is “Contact Record”. This feature will help you collect a lot of information on your customers, including personal information, past purchases, and previous interactions with your company. The advanced CRM solutions use sophisticated algorithms to track and record customers’ data on open sources, thus delivering you the most complete customer profiles. With an organized and up-to-date database, you will be able to find and act on information in a matter of seconds. A Centralized Database will render all your file cabinets obsolete and make your documents and data far easier to manage and update. Plenty of other features are made possible thanks to this, such as analytics, automation and report generation. It is important to know that there are generally two types of CRM software tools. Cloud-based ones which are hosted on the remote vendors’ servers along with your data. On-site ones which are installed on your servers, where all of your other business data is held. Generally speaking, there is no better solution. Your choice will depend on your business needs, goals and overall logic. So, make sure to check the pros and cons of each of these CRM tool types before you reach your final decision. As we have stated earlier, business process management is a new practice in the CRM software field. BPM is a nice extension of this solution that will enable you to take full control of all business process, even the ones outside the CRM field. CRM tools that come with this functionality already contain prebuilt processes that you can put to immediate use. In any case, you can use the intuitive drag-and-drop process editor to edit the existing process or build ones that completely reflect your business logic from scratch. It is important to know that this practice does not require any coding knowledge. Mobile-ready CRM solutions are the ones that are completely optimized for mobile phones. What does this mean? You, your managers and the entire staff of the service, marketing and sales departments will be able to access the CRM platform from a browser on a mobile device, as long as they have an internet connection. Additionally, there are some CRM vendors that have developed dedicated CRM mobile apps which make using this software even more convenient and streamlined. The customization feature will help you to deliver department-specific functionalities and real-time reports to your employees’ screens. This is a very convenient feature that enables the users to choose what they want to see on their screens. Customization reduces the time needed to access the data and helps your teams stay on top of their game. Those that streamline communication inside and between teams, and enable easier communication management with clients and customers. Those that are designed to improve the workflow, such as calendar and project management. Having all of these under one roof is a great way to promote collaboration and boost productivity. The lead management tool is a must-have when you are on the lookout for CRM software. This feature will help you capture and track leads, and then qualify them based on where they are in the customer’s journey and assign them to an agent that has the best chances to capture sales based on their previous experience. When it comes to opportunity management, the feature that streamlines it will help you track their history and be at their side during each stage in the pipeline. The insight into the previous interaction provides representatives valuable input to help them shape their customer-centric approach. The analytics engine is another feature that we prefer to put in the “must have” category. Why? Because with analytics, it’s much easier to track the performance of each of your efforts. Analytics works very well with the above-mentioned features and will be your powerful ally when you need to assess the output of crucial departments, including their workflow and the processes they use. Thanks to analytics, you will be able to generate reports for specific time periods to compare the KPIs with past ones. The automation functionality will help you get all those redundant tasks out of the way and empower your sales, service and marketing departments to focus on core business processes. As you get comfortable using automation, you will notice that it can handle even the most complex process while completely eliminating errors from the equation. Top CRM companies are a powerful solution that packs a wide range of benefits. The features that we have mentioned above are not necessarily found in all CRM tools on the market. This is why we have to emphasize once again that you need to perform extensive research to find the perfect CRM software for your specific business model and needs.